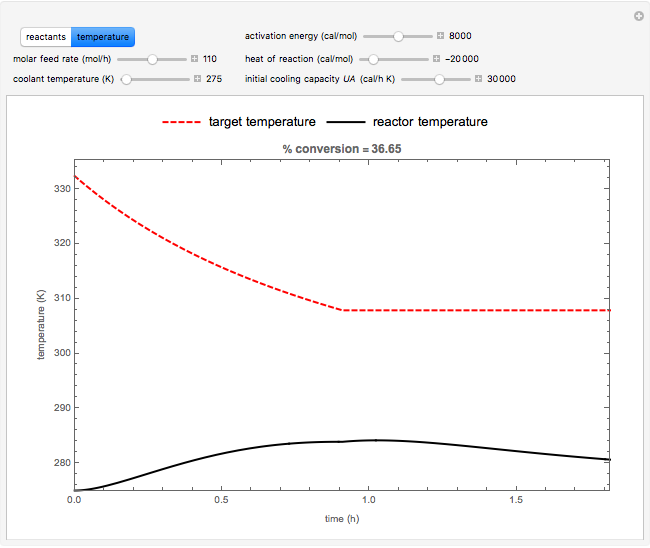 This Demonstration illustrates a method to operate a semibatch reactor to avoid thermal runaways. 2. 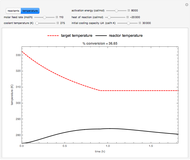 The thermal runaway, where the reactor temperature surpasses the target temperature and approaches much higher temperatures. 3. 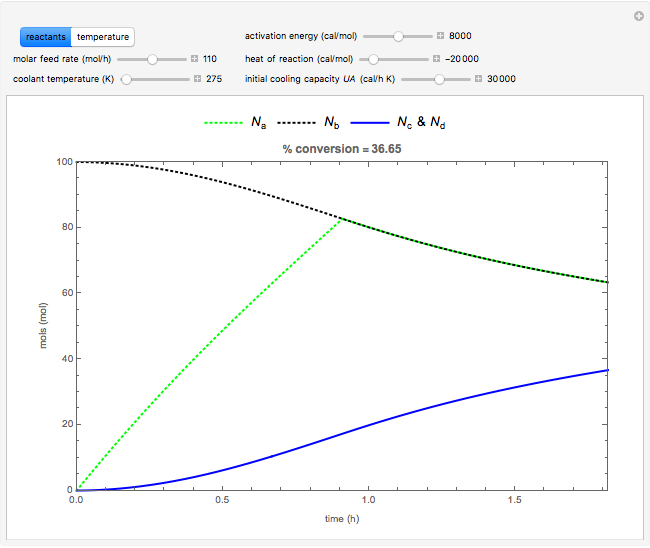 A case in which the operating temperature is close to the maximum temperature for most of the reacting time. 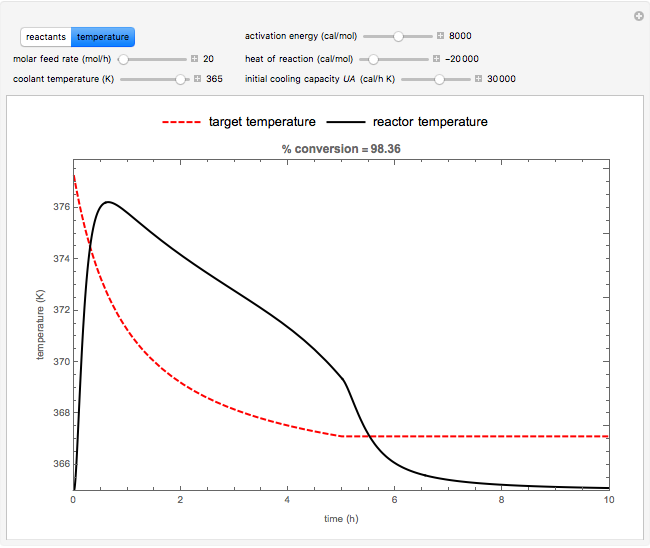 This results in an almost instantaneous conversion and low reactant accumulation and it is the most desirable reactor performance. 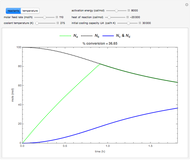 K. R. Westerterp, M. Lewak, and E. J. Molga, "Boundary Diagrams Safety Criterion for Liquid Phase Homogeneous Semibatch Reactors," Industrial and Engineering Chemistry Research, 53(14), 2014 pp 5778–5791. doi:10.1021/ie500028u. 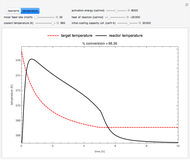 Clay Gruesbeck "Safe Operation of a Semibatch Reactor"